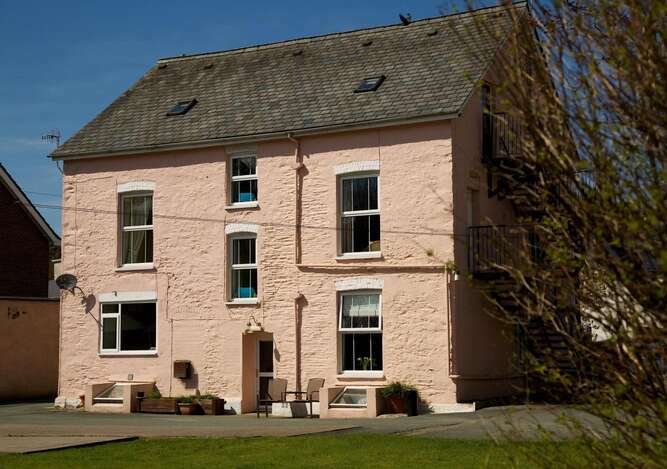 Maenllwyd Guest House, Bed and Breakfast in Machynlleth, local family run B&B. Maenllwyd Guest House is situated in the historic market town of Machynlleth in the heart of the Dyfi Valley. This imposing house started life as a Manse C1800 but has been a family run guest house since 1980. 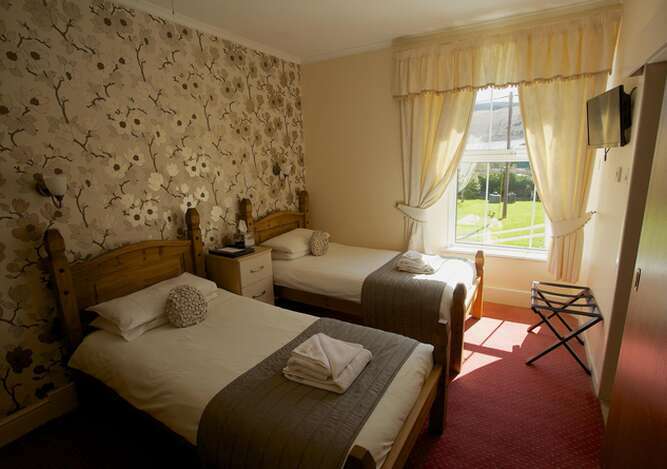 In terms of accommodation Maenllwyd offers 7 en-suite rooms all with tea and coffee making facilities, complimentary toiletries, towels, hairdryers, Freeview televisions and free fast fibre Wi-fi. 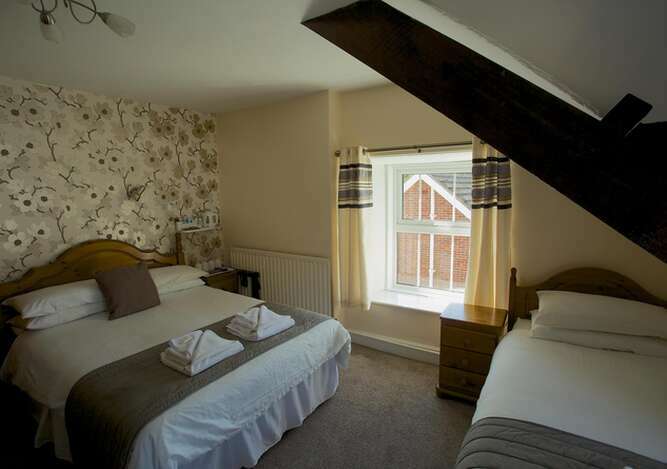 The rooms are constantly redecorated and refurbished to provide some of the best Bed and Breakfast accommodation that Machynlleth has to offer. 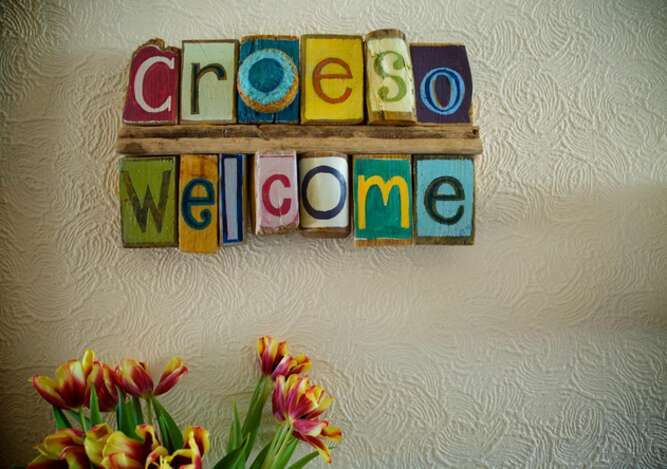 You will be assured of a warm welcome by your hosts Gareth and Jane who pride themselves on providing a comfortable bed and a hearty breakfast, in clean and comfortable surroundings. 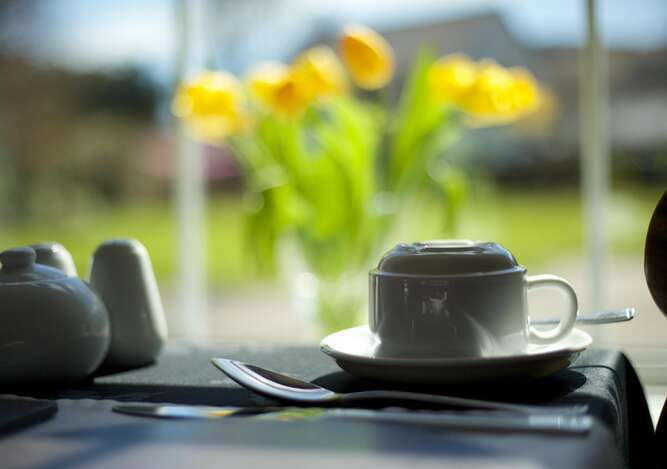 Maenllwyd boasts a large garden and a new decking area, ideal for guests to sit and relax. It also offers free off road parking plus safe and secure storage for bikes and walking equipment. 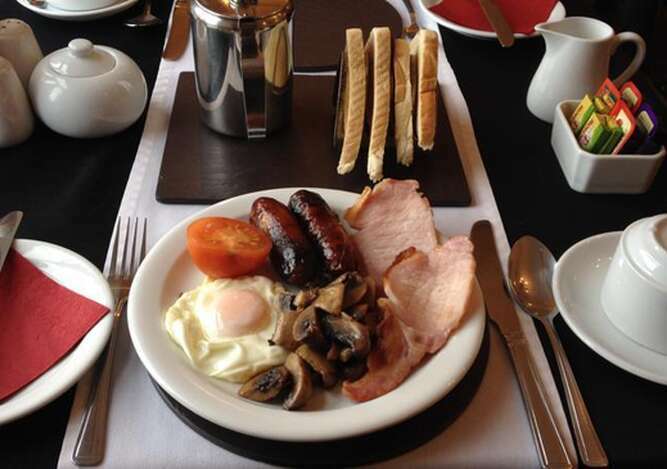 So whatever you reason for visiting Machynlleth, be it working, walking, cycling or just visiting the many local attractions, then Maenllwyd Guest House offers some of the best bed and breakfast accommodation around.